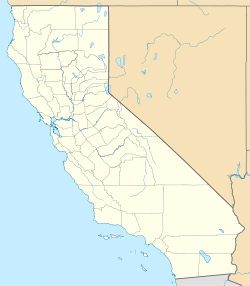 Cadiz is a small unincorporated community in the Mojave Desert in San Bernardino County, California. It is located just south of the Marble Mountains near the National Trails Highway. Cadiz is home to a former railroad stop, and is situated at 34° 31' 12" North latitude and 115° 30' 46" West longitude, at an elevation of 791 feet (241 m). It is northeast of the Sheep Hole Mountains and can be accessed by road from the historic Route 66 at Chambless. The town was named in 1883 by Lewis Kingman, a locating engineer for the Atlantic and Pacific Railroad. It is the third in a string of alphabetically named railroad stations in the Mojave Desert. Cadiz, Inc., a Los Angeles-based land and water-resource-management company, owns more than 35,000 acres (140 km2) around Cadiz. [citation needed] It has controversial plans to sell water from the aquifer. Under a Trump Administration change of policy, the project may not have to undergo federal review. In September 2013, Cadiz, Inc. had negotiated the Arizona & California Railroad for trackage rights for a tourist train operation between Cadiz and Parker. The train is projected to be powered by a steam locomotive, listing Santa Fe 3751 as the potential engine. The plans also require a new station and museum in Cadiz. Cadiz Airstrip (CA90) is situated south of the railroad tracks and has one paved runway 8/26 with a length of 5,280 feet (1,610 m). The airstrip is accessible through a dirt road and has no buildings. Wikimedia Commons has media related to Cadiz, California. ^ "Cadiz". Geographic Names Information System. United States Geological Survey. Retrieved April 12, 2015. ^ Boxall, Bettina (April 4, 2017). "Trump eases the way for a controversial water pumping project in a California desert". The Los Angeles Times. ^ "Cadiz Inc. Announces Agreement to Operate Steam Powered Excursion Train on the Arizona & California Railroad". Business Wire. 2013-09-19. Retrieved 2016-04-10.